blue | Journey to "i do"
My guess is we’ve all probably wondered what we’d use for each of our “somethings” on our wedding day at some point during the planning process. That said, I’m a big advocate for making your wedding your own and making it unique and personal to yourself and your partner. So who cares if you have all your somethings picked out way in advance or if you scrap them all together? Since there was a piece of me that wanted to complete my “somethings” I decided to go ahead with them but in my own special way. Something old: Grandma Sword’s handkerchief passed down to her from the Grandmother who raised her. Her Grandmother received the hankie as a gift when she was working at a hospital in the 1930/1940’s. 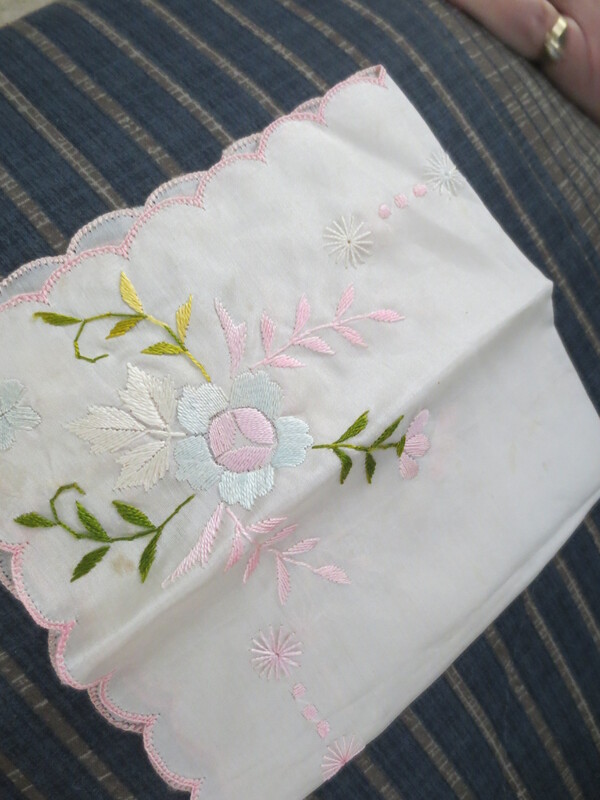 The handkerchief is decorated with beautiful Japanese embroidery, and my favorite part is that you can’t tell which side is the front and which side is the back. Does anyone know what that technique is called? 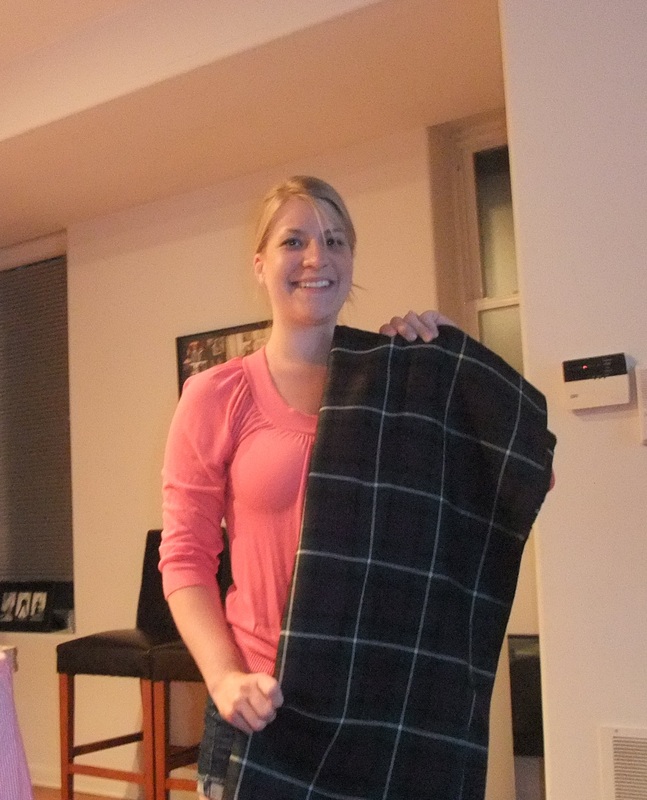 Something new: Our family tartan! While the standard answers of dress, shoes, and jewelry are also fitting, there’s nothing quite as new as our newly minted tartan! It doesn’t exist anywhere else. Mr. Sword and I designed it together and had it wove in Scotland and then shipped to the US. Boss Lady has made me a beautiful tartan shawl to wear on the wedding day and I couldn’t be more thrilled to match Mr. Sword’s kilt! The best part is all I’ll have to do is look around our bridal party or our reception room and I’ll see bits and pieces of our tartan everywhere reminding me of this journey Mr. Sword and I are starting together. The tartan is symbolic of two cultures joining into one, and it reminds me of all of all the special people in my life who have had a hand in sewing it, crafting it, cutting it, wearing it, and caring it around for the past year as we prepare for the wedding. Something borrowed: My new last name. I don’t believe I’ve spoken about this before but I’m insanely excited to take Mr. Sword’s last name. It’s such a personal thing that I almost don’t want to talk about it. Truth is, I currently have the BEST last name ever. It makes no sense, and it has never been pronounced correctly on any first day of school since the beginning of time, but it’s pretty awesome. Plus, it’s been my identity for 29 years and it’s provided me with the best Gmail address ever. No numbers or middle name for this girl! While I do love it, I’m happy to lose my last name as sort of a rite of passage. It’s a leap of faith and of trust. It’s an act of respect to those women in my family who have taken their husbands names before me. It’s about putting the whole before the individual. And it’s about creating a new baby family with Mr. Sword. I’m always going to think of myself as my former last name in some ways, but I will be so proud to sport Mr. Sword’s name is just a few short weeks. And then I’ll FINALLY be able to hang out on Twitter. Cause I signed up with newlastname. Duh. Something blue: My mothers. Both Mom Sword and my Future Mother-in-Law are wearing dresses in the color blue, and since my ideal shade of blue is purple, I decided the two most important ladies in the room would cover that “something” quite nicely. You’ll have to wait for photos of their dresses until after the wedding! OH AND ONE MORE THING! It’s the Swords one year engagiversary!! Yep, exactly one year ago today the very shy Mr. Sword proposed to me at the top of the John Hancock building in front of many strangers and his future in-laws. (Clearly, he was smitten.) If you want to read about it, check this out. I sorta kinda knew it was coming… still, it was one of the best days of my life! How are you covering the tradition of the “somethings?’ Does anyone else have a fun twist, I’d love to hear about it!